Your wedding invitations are going to be the one thing that will capture your guests’ attention, so you definitely want to take the time to make a good first impression. As discussed in our part one of this series, the beauty of modern weddings is that you have so much freedom and flexibility to create a wedding that reflects you. Take the time to plan ahead, add beautiful, unique touches to every event and ensure that all aspects of your wedding flows. Once you have your venue selected and discovered the style of your wedding, it should be relatively simple to decide on the wedding invitations. 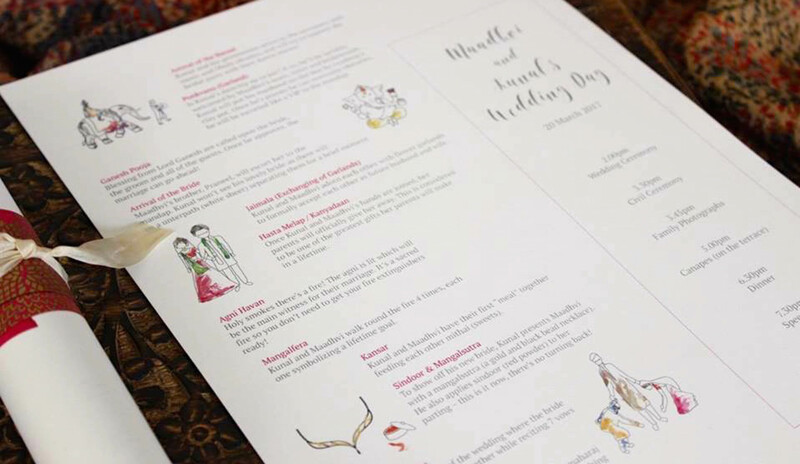 Today we are sharing some actionable tips and advice for selecting your wedding invitations and yes, it’s all about those details maharanis! Once your wedding guest list is finalized, you then have the freedom to create the wedding invitations. With custom wedding invitations, it might take more time to create an invitation, so schedule an appointment with the designer as soon as you can. Graphic designers and wedding stationers can get extremely busy; so work according to their timelines as well. Your save the date cards, emails or notifications will be sent out roughly 6-8 months before your wedding day. If you choose to select a package with the wedding stationer, then these cards can also be included. The actual invitations will be sent out 2-3 months prior to your wedding day. Don’t know where to begin with your wedding invitations? Well, you need to start from the beginning. 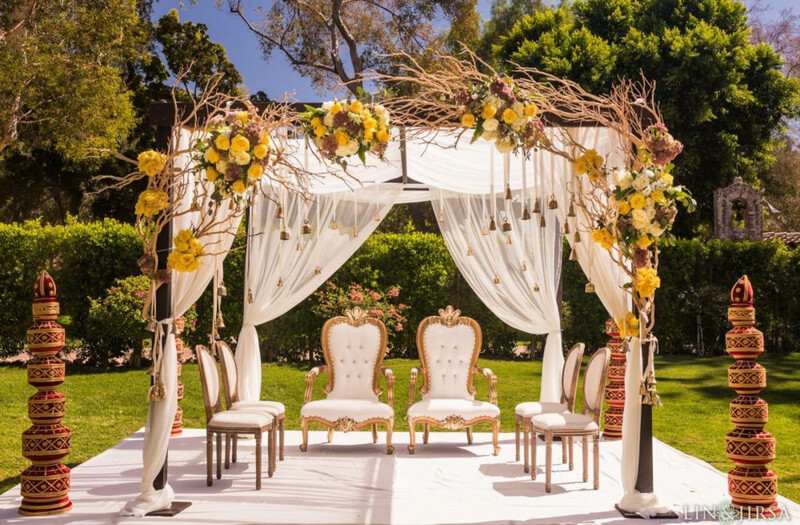 Decide on your wedding style and the venue. If your wedding is a formal or traditional affair, then your invitation will reflect that style. But if you were going for an intimate wedding with boho, carefree details, something custom or bespoke would be the best option here. Think very carefully about the size, shape and colours too. Given that our weddings are 3-4 day affairs or longer, there will be a number of occasions to cover and ideally the colours and theme should be carried through to other aspects of your wedding such as the place cards, menus, programs, wedding favours, labels or handwritten details for addressed envelopes, thank you cards and so on. 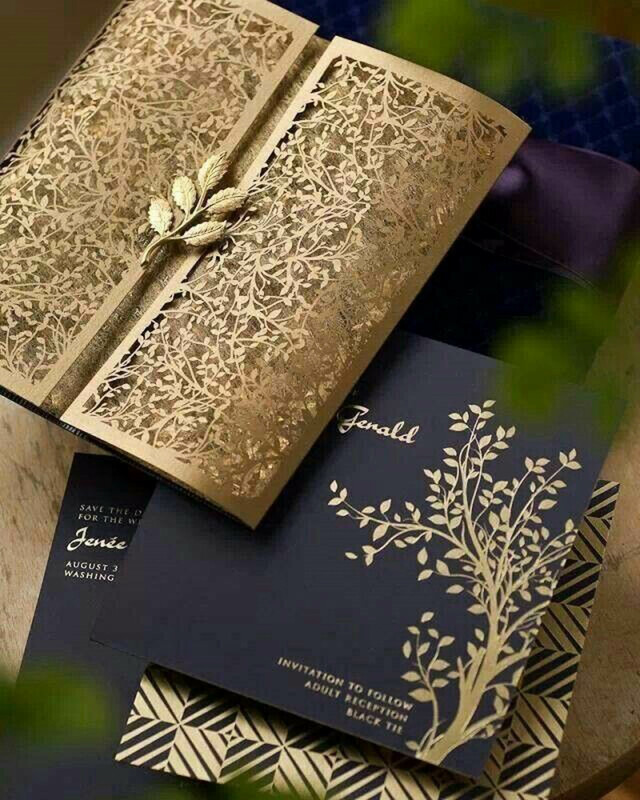 There are custom wedding stationery designers out there who can help you create bespoke invitations or you can opt for the more traditional and common, stock Indian wedding invitations. Keep in mind that bespoke invitations are becoming increasingly popular for couples that dare to be different. Whenever we think of Indian wedding invitations, we think chaos right? Wrong indeed! The invitation should list only the key events. The less wordy, the better it is for your wedding guest. We must move on from crowding our cards as to be honest, people don’t want to be reading a novel here. The key points to remember are the venues and timings. Dress codes are optional and other details such as what each function entails and directions could be reserved for your wedding website or a separate attachment. Always pay attention to the wording of your wedding invitations. There are several ways this is set out and you can verify it with the wedding stationery artist or website service. Always proofread the mock up invitation before it is scheduled for final printing. Do not forget to include a separate RSVP card with information for your guests to fill out their names, dietary requirements and wedding gift details. You can also attach a paid, reply envelope to make their lives easier. 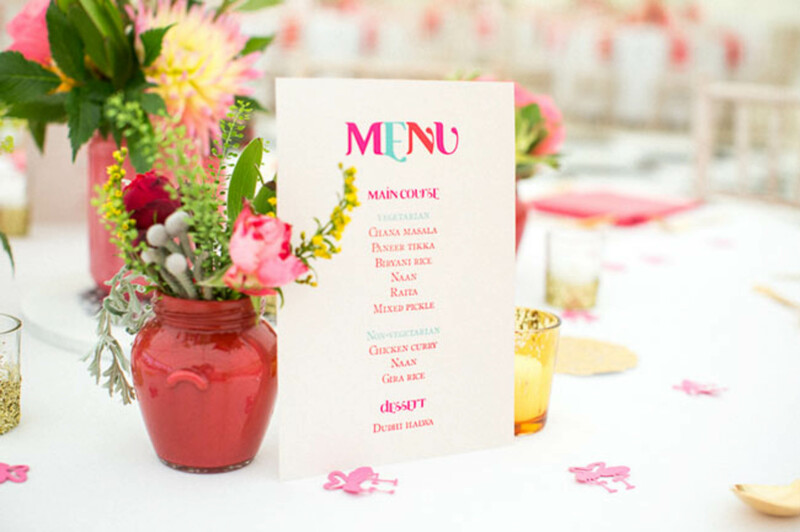 Your RSVP date will really depend on how much notice your venue may need for catering requirements. Remember that you may be required to submit a seating chart to the wedding coordinator. In addition, your stationer might need time to print the place cards and create a seating chart as well. Addressed envelopes will also need to be factored into your wedding invitations. Printed labels are cheap and fast, but if you want to give the invitations a personal touch, handwritten or printed envelopes are quite lovely. The final numbers will also affect things such as centrepieces for tables and decorative items in your venue. As per every aspect of your wedding, money matters. Design costs for your wedding invitations will include the type of materials and ink used, is it letterpress or calligraphy, are there going to be any foiling techniques used and are envelopes included? Over compensate and order more wedding invitations than you think you’ll need to account for last minute invites and “b list guests.” In this instance be sure to have a later RSVP dated on these particular invites. Postage is also important. Weigh the invitation at the post office to determine the cost you will have to put aside for stamps. Keep in mind that sending invitations overseas will also cost more. Don’t forget the rest of your wedding stationery suite as well. Your stationer may be able to offer a package, which includes thank you cards, save the dates and more and this could not only save you money, but time as well. Everything will look consistent and classy. Be sure to track your RSVP’s as soon as they start arriving. Create a simple spread sheet to track guest, partners, type of gifts received and a column for the thank you note. And that’s a wrap for our 5 part wedding planning series! What are your tips for creating wedding invitations? Also, are you excited, nervous or stressed about planning your wedding? Let us know in the comments or drop us a message via our contact form. We would love to help you with any of your wedding related questions.